Much of the uncertainty results from judicial confusion over the nature of constitutional analysis in school finance litigation. Because state high courts are the ultimate interpreters of state constitutions and because those decisions are binding on parties not before the Court, judges should use the original public meaning of the relevant state constitutional provisions rather than their own policy preferences. 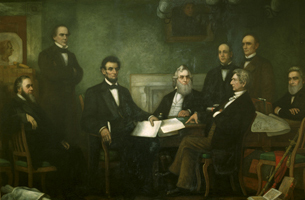 While the original public meaning of the State Constitution offers important insights concerning the existence and strength of a quality standard, the burden of proof, and a hierarchy of constitutional values, the question of whether the legislature has acted in accordance with the text is ambiguous. “When interpretation has provided all the guidance it can but more guidance is needed, constitutional interpretation must be supplemented by constitutional construction—within the bounds established by original meaning.” In other words, if the plain language of the constitutional provisions does not provide a definitive answer, then the court must build upon the framework established by the constitutional text. This process of “constitutional construction”—where the judiciary creates a coherent workable rule to resolve the current case and all future cases—has been particularly difficult in school finance litigation. Indeed, in several States, the high court’s failure has led to a genuine constitutional crisis where the legislature has refused to comply with the judicial mandates. 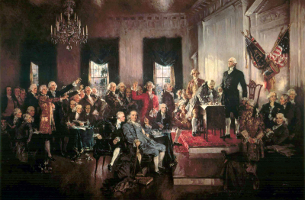 In The Letter and The Spirit: A Unified Theory of Originalism, Randy Barnett and Evan Bernick offer a solution to the problem of constitutional construction. Recognizing the “letter” of the Constitution (the original public meaning of the text) will sometimes be inadequate to resolve a case, the scholars call for judges to focus on the “spirit” of the Constitution (the “functions, purposes, goals, or aims implicit in its individual clauses and structural design elements”). Contending that judges are fiduciaries bound to respect the Will of the People as expressed in the Constitution, Barnett & Bernick insist that judges have a duty to engage in good faith constitutional interpretation (following the original public meaning of the text) and constitutional construction (following the original functions of the provisions). Although the scholars were addressing analysis of the National Constitution in general, their work is equally applicable to the State Constitutions and to school finance litigation in particular. Indeed, Barnett’s and Bernick’s approach offers a coherent way to resolve school finance litigation while respecting the words actually adopted by the People when enacting their State Constitution. This Article’s purpose to explore the insights of Barnett’s and Bernick’s Letter & Spirit for constitutional construction in school finance litigation.